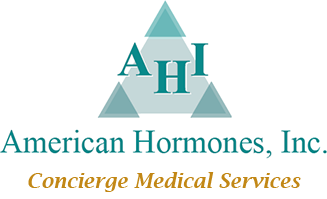 Compounding Pharmacy, Ordering Tests | American Hormones Inc. Call (845 471-0356 for shipping boxes and test tubes via prepaid FedEx clinical courier services. Collect 3 SST tubes of patient blood, and 2 lavender top tubes. FedEx your specimens to EndoLab, including the top copy of requisition in the prepaid, pre-packaged box using pre-printed label provided by EndoLab. Majority of test results are reported within 48 hours online. Other specialized tests require an additional 1-2 weeks. For specific specimen processing instructions, please refer to our separate instructional blue card.